For your special-needs conference, school, open house, workshop or charity event. 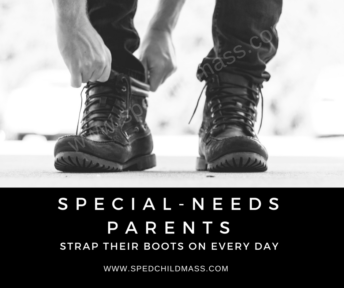 Patty Terrasi and Gina Gallagher are the Massachusetts-based authors of Shut Up About Your Perfect Kid, A Survival Guide for Ordinary Parents of Special Children. Hear about their families’ journeys and messages of acceptance and inclusion. Topics include Early Intervention, Mental Health, School and Bullying Issues, Autism, Down Syndrome, and Adult Challenges. Find out more. 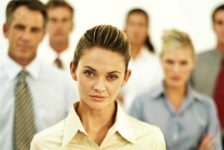 What’s best for my organization? Great question – it’s easy to “not get it right”. It’s important to select the right Social Media channels(s) for your neeeds. Your time and resources are limited – starting with the right approach is critical. We help you figure that out. Grow your brand visibility and outreach by sharing our exclusive content with your Facebook fans. We will build your Facebook page and reach out to the over 700 local special-needs organizations that SPED Child & Teen follows. Please contact us for discount and custom rates. Your brand and company message shared on our Twitter. Your brand and company message on our highest trafficked home page. Your Twitter feed content shared on SPED Child & Teen Facebook page. Our exclusive SPED Child & Teen Twitter events and programs on your Twitter feed. Time Frame and rates: Please contact us for more information. Monthly Management rates: Please contact us for more information. We Make Them For You! Event, Conference, or Workshop with us. educators and decision makers each month. Brand and share your message. Explore our continuously updated content. Our readers, parents and caregivers of special-needs family members are looking for advice and direction from experts – like you. Have you written an article, blog or book? Our site is the perfect platform to showcase your knowledge, personal experience, research or successes in the disability field. Links built right into the blog will to send readers directly to your page or inbox. Have some exciting excerpts from a program or workshop? Share it with our readers!